Thanks to an Illinois State University partnership with SAS, the advanced marketing analytics and business analytics minor students at Illinois State University will soon be able to add SAS joint certificate on their resume. SAS is one of the leaders in business analytics software, and according to Money magazine, SAS data analytic skills are among the most highly sought-after career skills. The Illinois State University Department of Marketing now joins a short list of institutions that partner with SAS on the joint certificate program. Illinois State University will be the first undergraduate marketing program in the world to award the certificate to its graduates. “SAS is one of the leaders in business analytics solutions, and they not only provide traditional statistical analysis tools, but their latest products also provide big data solutions in data mining and data modelling. 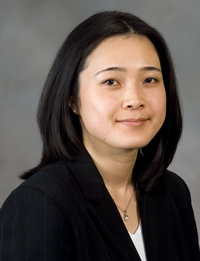 The joint certificate program partnership allows us to equip our analytics students with the skills to make data-driven decisions and take on marketing challenges in today’s environment,” said Marketing Professor Chiharu Ishida. Certification training has already begun, and advanced marketing sequence and business analytics minor graduates in spring 2017 and later will be certified. This recent development is a result of our ongoing commitment to stay current and to design the curriculum that meets the needs of the industry which continues to have a severe shortage in talented employees who specialize in data mining and other pertinent data-driven decision makings. For more information on the analytics curriculum, please visit the Department of Marketing website.